The Labrador Retriever Club of NSW Inc acts as a REFERRAL point for people wishing to rehome (not sell) their adult purebred Labrador Retrievers due to a change in circumstance, and also for people offering a home to adult purebred dogs. In the majority of cases, the Club or it's members have not seen the dog, knows nothing of its background and gives no warranty as to its suitability for rehoming, its health status, vaccination status, whether it is desexed or its temperament. The Club simply acts as a point of contact. Members of the Labrador Club of NSW are passionate about their dogs and are responsible dog owners - we are heappy to assist labrador owners with the same values rehome their dog, therefore only dogs that are desexed, vaccinated and wormed will be listed on this page for rehoming. 1: Contact the breeder of your dog - more often than not, a good breeder will be able to assist you in rehoming - either by taking the animal back, or referring interested people to you. 2: Give your dog the best chance to find a great home - ensure your pet is desexed, vaccinations are up to date and recently treated for worms and fleas. 4. Be organised - do not leave it to the last minute to find your dog a home, the longer your dog can stay with you before moving to it's new home the better - leaving it to the last minute often means that your dog will end up in an animal shelter. The longer the dog can stay with you until a new home dramatically reduces the stress on your dog. 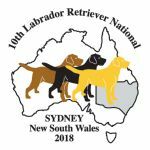 Under no circumstances do the Labrador Retriever Club of NSW Inc offer any warranty or guarantee with dogs listed on this page that are to be rehomed. If you are unsure of the temperament of a dog being rehomed - seek a professional's assistance / opinion before making an uninformed decision on whether this dog is suitable for your family.